Apple iPad 3 ready to leave Foxconn for US? iPads on the way, but is a price hike coming? Shipments of Apple iPad 3 tablets are ready to depart the Foxconn plant in China and head for the United States, leaked documents have revealed. The Apple Pro blog has obtained what it claims to be a shipping document that says the tablet is set to arrive on US shores no later than March 9th, two days after the rumoured date for the launch event. The document shows that shipments will be made to three major airports in the United States for easy distribution around the country. Combine the two assumptions and it seems fair to suggest that, just like last year, the Apple iPad 3 will go on sale in the United States around a week after the launch date. 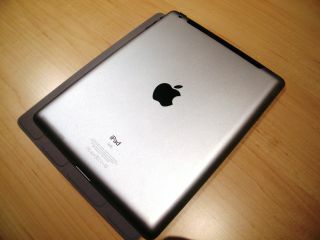 Recent reports seem to suggest that the iPad 3 will boast a much-improved Retina Display, a faster A5X or A6 processor as well as a 4G LTE radio and a camera with a larger sensor. However, reports today suggest that Apple fans may be forced to pay more for those extra features. Speculation from the far east suggests that the base price for the iPad 3 will be $579, rather than the $499 users are currently paying for a Wi-Fi-only 16GB iPad 2.